Mercedes -uteThen there is Mercedes-Benz’s upcoming ute (pictured above), which has Australia front and centre in the planning. Due in 2018, Merc will offer four-cylinder versions of the Nissan Navara-based Mercedes-Benz GLT as well as a V6 diesel with outputs of around 200kW and 600Nm, making it one of the most potent utes available. Benz is also considering an AMG version, though not a V8. AMG boss Tobias Moers told Wheels the brand was exploring the potential for an AMG ute, but that it wouldn’t be “the full Monty”. Last edited by Teckno; 03-29-2016 at 05:11 AM. Found this re BRIDGESTONE tyres, we have Pirelli at the moment. 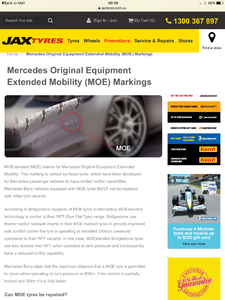 More info re MOE, tyres. Found this article in Oz. Good description of RFT tech and Mercedes MOE developments. 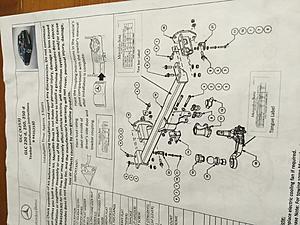 Are these instructions for the Aussie Tow Bar or an overseas model? Sorry, fat figures at my end, max braked is 2000kg, not 100kg. Yes this is for Aussie tow bar. 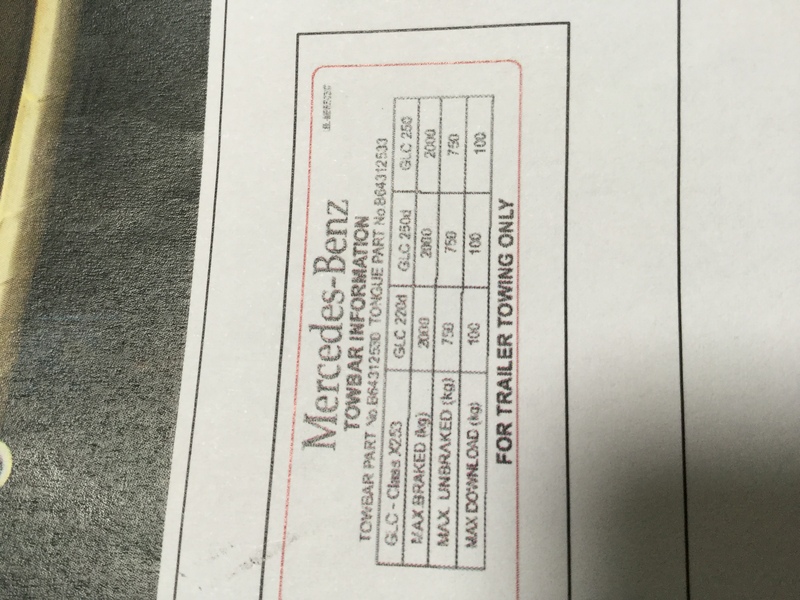 Interesting the Towbar instructions say approx. 3 hours to install. The quotes I had were all for between 5 and 7 hours. MB or dealership subsidy to learn on the job. We the customers usually pay for this ! I am however returning the car to have a plastic shield possibly replaced that should be hard against the dsr light assembly, it's loose and may let water into sub assembly ? Dealer really good about it and will investigate. Super quick delivery, purchased extra for our other cars. Works with self stick clear 3M tape, supplied. No more blown away ticket stubs , looks great too, just like OEM. 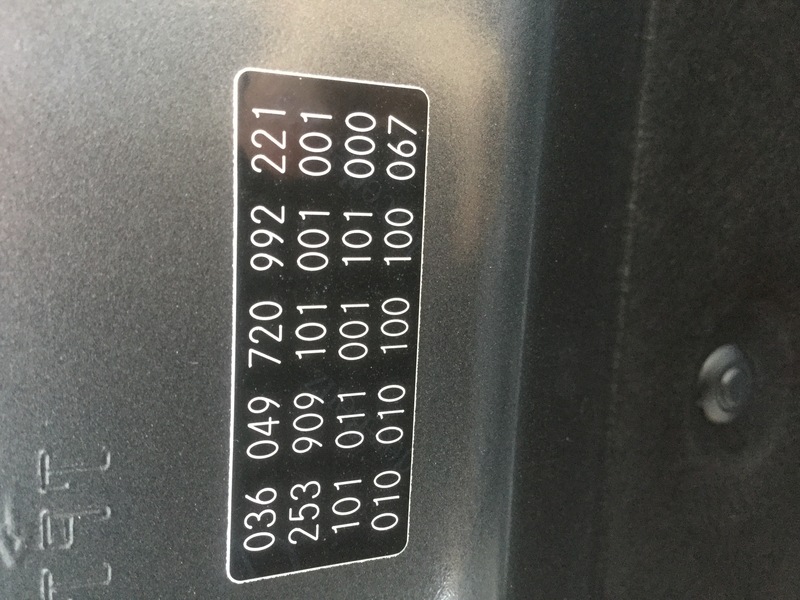 Hi, does anyone know what the codes in the photo mean. Found under the bonnet , near the release catch. If I had to guess, they are production/build codes. This from an Aussie post re windscreen shudder from wipers. There should be a recall on this issue! OK guys so here is the latest on the ongoing saga of the juddering windscreen wipers. I suspect i am the most progressed with this issue with the dealer but if anyone else has any info to share that would be incredibly helpful. 4. 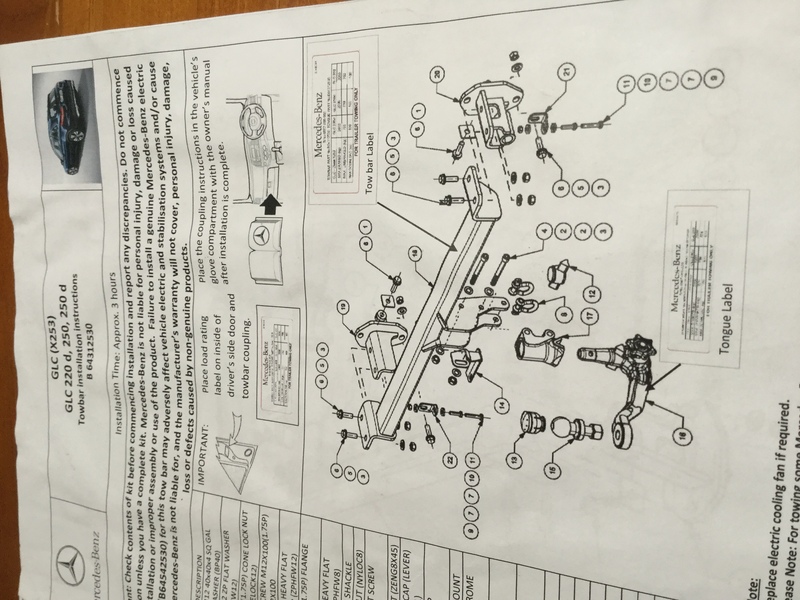 Mercedes Benz HO AU become involved and advise that the angle of the wiper to the glass needs to be measured using a special tool that can be ordered via spare parts. Angle is measured and found to be within tolerance. Was also given a bottle of MB Intensive Window cleaner which is like a glass polish that can be used occasionally (dealer suggested maybe every 6 months or so). This was just on Monday when i picked the car up again. At the time was told that all was fine and today i have already got juddering again. Below are a couple of videos. First one is in normal speed and then one in slo mo. If you turn the volume up on normal speed you will hear it. Slo mo clearly shows the juddering. 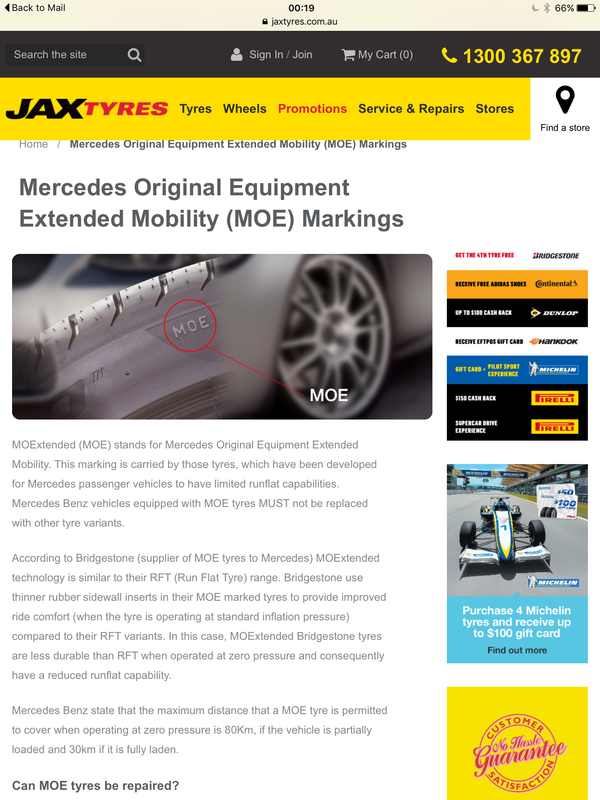 FYI the dealer i've been working with is MB North Shore (Sydney). Hopefully this is helpful for other owners. Guys i strongly believe we all have to keep pushing this with our dealers and MB. They are only going to take notice once we are all complaining. Hi, found this on an Ozzy site to unlock DVD, etc. Guys, I found this work for our GLC, unlock the DVD-Video while driving, but it cost $199USD...damn. The software works on cars made for Europe, United States, Canada, Australia, South America, Asia, Africa and Middle East. The unlock will remove all limitations, including entry of navigation destination and internet browser use while driving. Does anyone know of other options or providers ? 250d – drove today up into rural VIC , whole time on Western freeway, highway with some small town running around. Got back tonight, 350km, diesel ave 6.1 l/100. 3 adults, boot full, mostly mix of 110kph down to 40 and 60kph in roadwork areas. Great drive, very easy and quick to overtake at speed. Impressed. It looks as though the highway fuel mileage on my gas GLC is going to be around 25.5 mpg. That's averaging 67 mph over two approximately 500 mile trips. Two adults with baggage. And assorted stuff my wife deems necessary for survival. Am happy with these numbers as my previous GMC delivered but 17.5 mpg on the same trip. Downside is the GLC requires 93 octane fuel. However, must brag, on the same trip my 610 hp Corvette achieves 26.5 mpg while averaging 70 mph. Sixth gear rpm is 1650. Last edited by larrypmyers; 04-26-2016 at 01:10 PM. Spoke with MB today. HUD stopped on any orders till at least Aug build. Some minor changes to 2017 build state with some options for Oz. Cooling option for front seats, fan only I think. A grey colour is removed and a blue is made available. Most likely other minor changes. Biggest surprise is GLC stock rapidly dwindle. Orders now delayed till Oct .
250d has increased in base price also by around $1000. GLC 250d, 6000km on clock. Freeway and small towns. 6.2liter per 100km, ave 99kph for 180 km run. Door to door. Very happy, on cruise control the whole time. Here is link to Aussie 2017 build state. Booklet states 2016, but covers all 2017 features such as Brilliant Blue, cooling seats, etc. For those whom are interested, this is the completed price list from DEC 2015, price may change i.e. 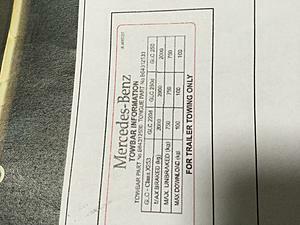 250d model now increase in price by $1000. Found this on another site, posted by a fellow GLC supporter, much appreciated. 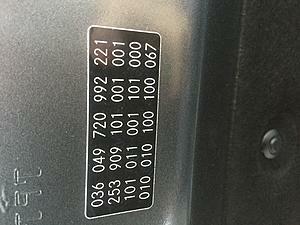 Has anyone checked the QR Coder Reader on the inside of the fuel filler door ? Mine when downloaded has the battery on the wrong side in the engine ! Not good for emergency workers, given it is hidden by covers and is below the cabin inlet air filter assembly. This is on Australian delivered, right hand drive cars. In Oz the battery is on the passenger side in the engine bay, near the firewall. Just think yourself lucky you have a battery and a GLC to use it. I am being quoted February if I order now. I was told that current orders are for March delivery and that second hand GLC's are being sold for above cost price.